Via Verde: Puerto Serrano - Olvera, originally uploaded by Grupo de Montaña PiedraLuenga. 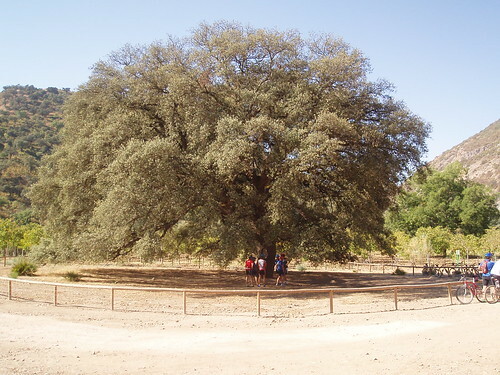 This large Holm Oak (Encina in Spanish) is located along a popular mountain bike route that is in fact the trajectory of an old set of train tracks that has been converted into a "Via Verde" (a green path). This particular stretch runs from Puerto Serrano to Olvera. This large Holm oak makes for a nice resting area for the bikers.